Say Bula to all of Fiji! Discover tropical happiness in the islands of Fiji. There are so many things to do across this South Pacific nation, that you’ll quickly learn that one holiday just isn’t enough! From pristine beaches to lush forests; quaint villages and bustling hubs, the choice will astound you—Fiji is the one place where visitors are truly free to do as much or as little as they want! Fiji runs off “island-time”—a laid back attitude that allows everyone to just enjoy being in the moment. No matter where you travel or what you do, this attitude will be present; an overarching reminder to relax into the holiday spirit! Don’t run yourself thin when you go on your Fiji holiday. Use the list below and plan your trip by region. Our Fiji Holiday Experts have compiled some of the top things to do across the main tourist hubs, as well as few lesser known things that you simply cannot miss! Fiji’s Coral Coast is known as the birthplace of Fijian tourism. The 80km stretch of pristine white beach has attracted visitors since the 1950s—despite the destination being between 1 and 2 hours from Nadi International Airport, people are drawn to the incredible beauty and activities that wait there! 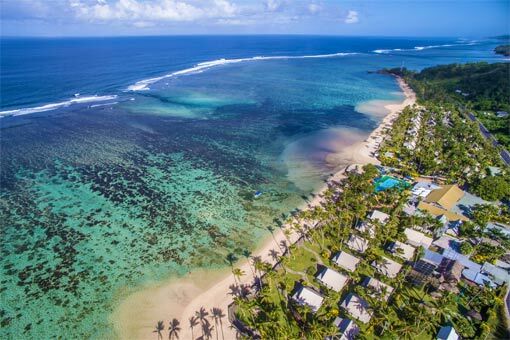 The Coral Coast boasts a number of sprawling, internationally renowned resorts and, while the facilities at these resorts are incredible, it’s what lies outside of their gates that really make a trip to the region worthwhile! Start your days walking or horse-riding along the sands of the private bays in front of your resort. Catch a coconut or kava demonstration when you return and get set for an exciting day ahead. The Coral Coast is a great place to go on day tours. Explore villages with friendly local tour guides and enjoy hands-on education about how traditional Fijian life is lived. The town of Sigatoka is a must see during your visit—find a farmers markets with craft and food stalls and plan to explore further through this Sigatoka Valley region. Follow the west bank of the Sigatoka River inland (either by car, 4WD buggy or on a river safari) and discover why the region is known as “Fiji’s Salad Bowl”. Pass by a patchwork green fields, explore the villages of Lawai and Nakbuta and travel up steep ridges before winding your way around to find the Sigatoka Agricultural Research Station—a popular picnic spot! The region is also home to the Sigatoka Sand Dunes National Park. Located at the mouth of the river is an extensive dune system with peaks reaching up to 60 metres high! Other activities at the Coral Coast include whitewater rafting along the class II and III rapids of the Upper Navua River and trips to award-winning day spas. The Outrigger Fiji Beach Resort’s Bebe Spa, in particular, is well-known for its unparalleled services and is recognised throughout Australasia! Most Coral Coast resorts have a range of great kid’s clubs and services too, making it the perfect place to take the whole family. Click here to find out more about Fiji’s Coral Coast! Both Denarau Island and Momi Bay are well known for their luxurious resorts—the perfect places to “flop-and-drop” and completely unwind. What’s not as well known about these areas is that there are plenty of incredible things-to-do around each of the resorts. While world-class golf courses, resort pools, tennis courts and shops certainly do hold their appeal, there are some very “uniquely-Fiji” activities that you can enjoy in these regions too! Get out and explore with a day trip to the Sabeto Hot Springs. Located on the outskirts of the Koroyanitu National Heritage Park, getting there takes just under 25 minutes from Nadi/Denarau and under an hour from Momi Bay. The drive is picturesque and travels through stunning farmland and vegetation—it is the perfect, refreshing way to prepare for the rejuvenation that you’ll soon experience bathing in the mud pools and geothermal hot springs! If you’d prefer some clearer water during your Fiji holiday, visit the Port Denarau Marina. Home to the Fiji International Jazz and Blues Festival and the South Pacific Food and Wine Festival, there are plenty of opportunities to listen and feast as you gaze out over the sea! There are plenty of restaurants located right on the waterfront, with menus to suit all tastes. Sample dishes by internationally acclaimed chefs or enjoy a glass of wine while you watch the sun go down. Denarau Island and Momi Bay are both great places to based yourself if you want to explore further afield too. Both boast easy access to the hub, Nadi, where you can go ziplining or visit the Sri Siva Subramaniya Temple. This exquisite Hindu temple acts as a peaceful oasis within the bustling city and provides a lot of insight into the region’s Indian culture. Boats also leave both areas, taking tours out to surround islands and surf breaks. Try the waves at Cloudbreak from Momi Bay or cruise out the Mamanuca Islands from Denarau. Snorkel, dive or go on a fishing tour. Click here to find out more! Whether you sail or cruise to them on a day trip or spend your entire holiday at one of their resorts, the islands surrounding Fiji’s mainland, Viti Levu, host their own unique selection of things to do. The obvious activities are snorkelling, diving and surfing. 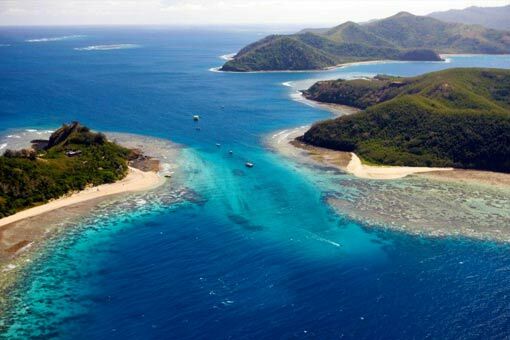 Incredible reefs and breaks surrounding the Mamanuca Islands, the Yasawa Islands and Beqa Island and guests from across the world are drawn to their waters! What’s less known is that these are great places to hike! Hop aboard a cruise with South Sea Cruises and Captain Cook Cruises for a half or full day trip to the islands. Visit the southern and northern Yasawa and Mamanuca Islands, enjoy breathtaking natural beauty and unique cultural experiences. Spend your days on the sand, in the water or stretch your legs out inland—all of these islands are known for their mountainous terrain and lush vegetation and are perfect for budding hikers who prefer to explore the world on foot! Beqa Island offers all of this and more. Being located off the south coast of Viti Levu, it is the perfect based for those wanting to spend a day or two in the Suva. A 30 minute boat ride will take you from the pristine vegetation of the island, back to the mainland and another hour’s drive will get you to the capital. Once there you’ll be captivated by the dynamic city! From shopping malls, to markets; cultural entertainment, to night life, the things to do in Suva seem almost endless! Spend your days in the sun in the city’s beautiful parks and gardens, wander between buildings that date back to the colonial era, spend hours in museums, shop or play golf. Suva is a lively city and one of the largest, most cosmopolitan cities in Oceania. Dine in high-end restaurants or spend a night out on the town—Suva has a lively nightclub district full of trendy bars. The range of things to do in Fiji is truly endless! 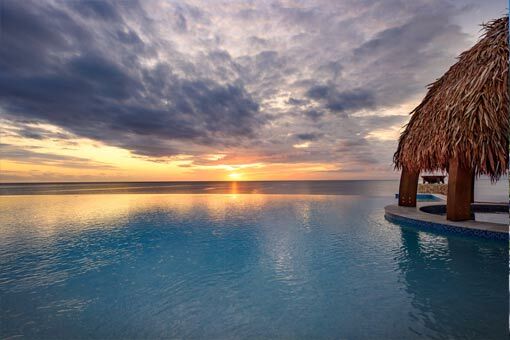 For more information, contact our My Fiji Holiday Experts now!